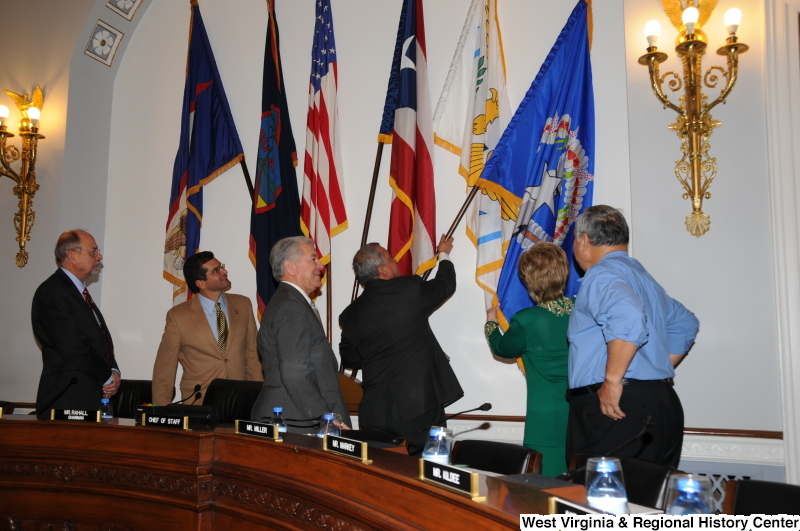 Congressman Rahall, Gregorio Sablan, and four others examine flags. 2. 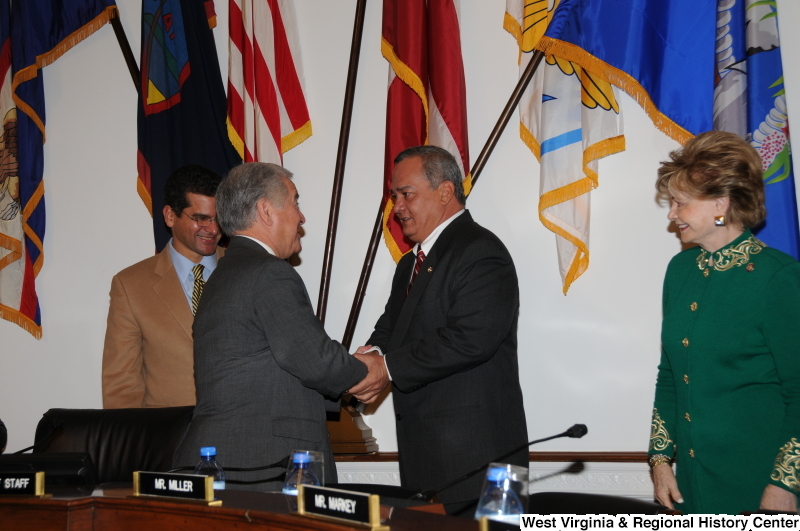 Photograph of Congressman Rahall shaking hands with Gregorio Sablan in front of flags, while others look on. Photograph of Congressman Rahall shaking hands with Gregorio Sablan in front of flags, while others look on. Congressman Rahall shakes hands with Gregorio Sablan in front of flags, while others look on. 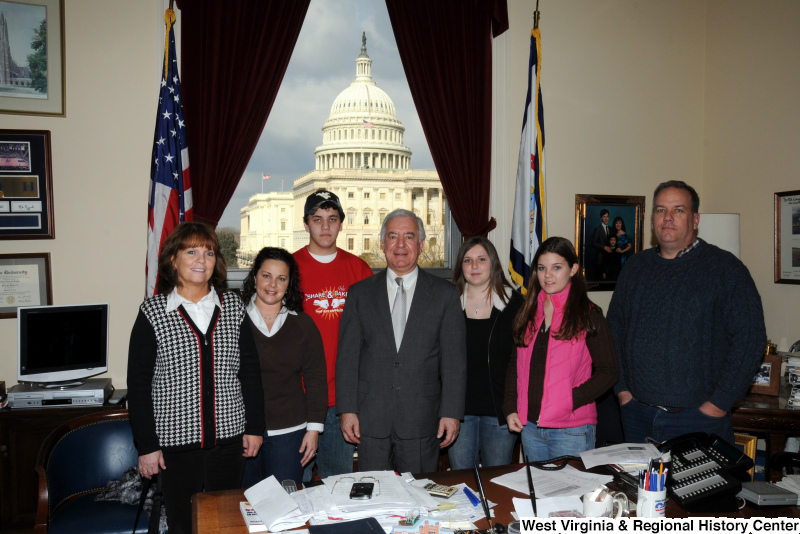 Congressman Rahall stands in his Washington office with adults and teenagers.